Your success means everything to us. That's why we've created Success Plans. No matter what size your business is or what your goals are, there's a Success Plan that fits your needs. 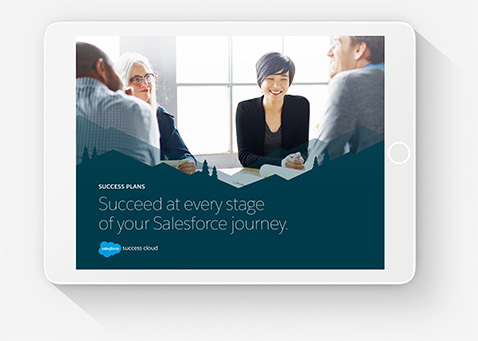 Download our brochure to learn about the different types of plans and how they work to ensure long-term success with Salesforce.